All of our hedge trimmer rentals are STIHL brand! Gas-powered with long reach & sharp blades for the ability to complete work w/ ease. Includes commercial-grade cutting blades & vibration reducing engine mounts for operator comfort. Articulating gear case allows blade adjustment in 15° increments w/ a total range of 180°. 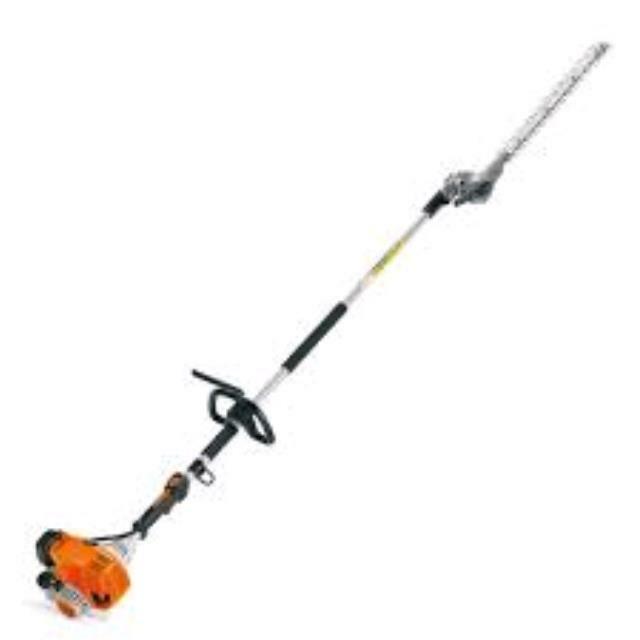 Each hedge trimmer rental comes with a full tank of gas along w/ an additional can of pre-mixed fuel. * Please call us for any questions on our extended hedge trimmer rentals, serving Tampa Bay, Brandon FL, Riverview FL, Seffner FL, & Lakeland Florida.